People ask me all the time how to become a better leader. My short answer? You already have everything you need. The long answer? Becoming a leader is less about learning, and more about uncovering and tapping into your natural leadership tendencies. Self-awareness is key to being seen as and followed as a legitimate leader (regardless of your industry and professional experience), because it’s easy to sense when someone’s not in their power. Think about the people in your life - have you ever had a conversation with someone, thought they were cool/brilliant/funny AND sensed their underlying nervous energy? I definitely have. And while I am happy to support and build up those individuals, that’s not who I’m running to when I need advice or guidance. If I’m looking outside of myself for support - and I HIGHLY recommend getting the support you need when you need it - I will always gravitate toward individuals who are capable of showing up for me in the way I need. I don’t want my needs to be filtered through their own insecurities, distractions and self doubt. Grab the free list of do's and don't s of asking for support in the Support Vault, here! Does this mean you need to wake up every morning, rosy cheeked and bright eyed and feeling 100? No! What it means is that if you’re committed to showing up in the world, in your industry and in your community as a leader, you need to be committed to continually addressing and excavating any fears that arise that keep you from doing that work powerfully. That’s why I find mindset work to be so powerful for leaders - because both mindset work and leadership are rooted first in intention. I find that the easiest way to name and release the doubts, fears or even the overwhelming “I don’t know!” mindset that keeps us from leading others is through writing. I’m a journal keeper, but not in the traditional Dear Diary sense. Instead, I think of my journal as a space to actively work through and dismiss my challenges on a monthly, weekly, and sometimes daily basis. If you flipped back through some of my completed notebooks, you would be able to pinpoint exactly where I was at that point in life in terms of my own personal growth and development. Bonus point: this dynamic type of journal keeping creates a track record of your successes and wins. Maybe I’m impatient, or maybe I’m just efficient. 🤷‍♀️Either way, I don’t enjoy stream of consciousness writing - I’d rather ask myself a direct question and see what my gut response is. 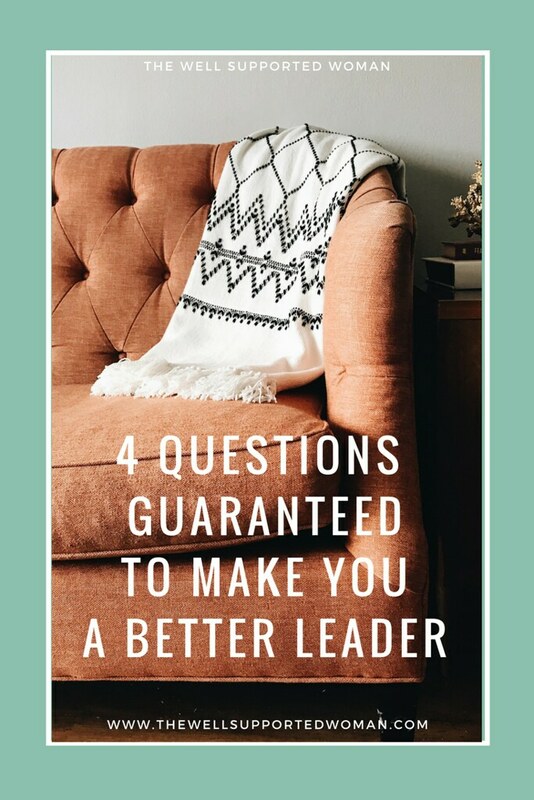 That’s why I’ve pulled together four questions for YOU to journal on this week that are guaranteed to make you a more intentional, and therefore more powerful, leader. 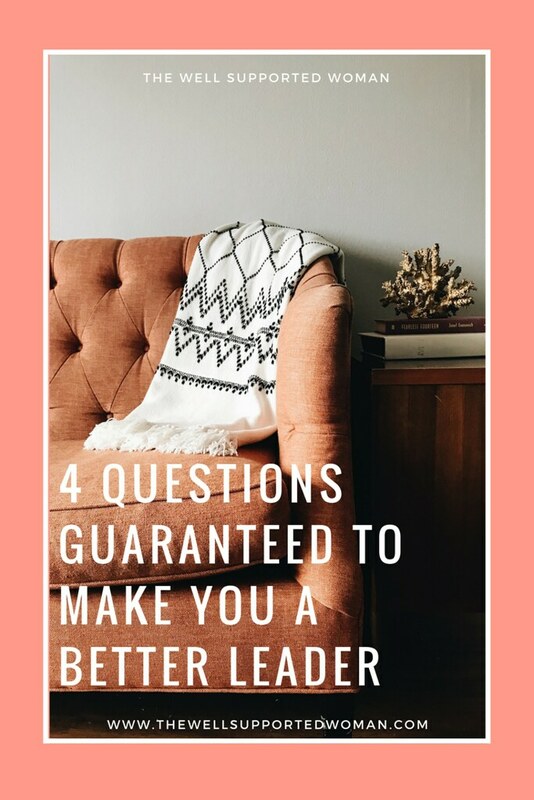 Plus, these four questions are the fundamentals that guide all of my private client work when it comes to intuitive leadership development. Walking yourself through this exercise is a great way to get a taste of the process, and to is an excellent way to see whether leadership development is right for you at this stage! Hint: if your pages are overflowing, now might be the time to consider private coaching. How do I desire and intend to lead? How can I better support myself as a human and a leader? What do I need to release or resolve to show up fully as a leader? What experience do I want to create for the people around me? How does my leadership style, intention and behavior make this a reality? How can I show up as leader outside of the workspace? If you’re staring at a blank page, don’t despair. Let’s zoom out for a second, because paralysis serves nobody. Focus on this question first: how can good leadership change lives? The answers are limitless. Get to writing! And let me know in the comments some of what you’re uncovering. Welcome to Unapologetic, a monthly series designed to introduce you to millennial leaders doing badass things in the world. Unapologetic women are fully owning their space, their voice and their vision for a better world - and taking massive action to bring those dreams to life. They also believe in building up other women along the way, and are kind enough to share their life lessons with us here! 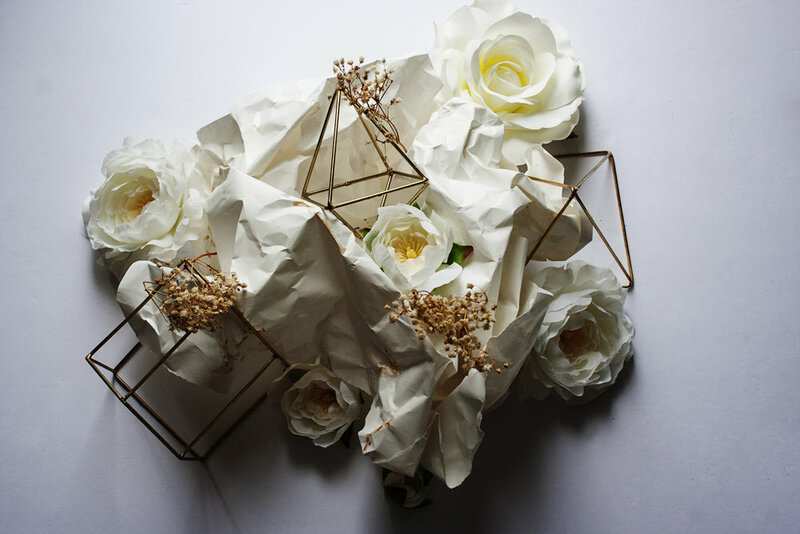 I've been a fan of Nadeena's work at Art and Anthem for a long time now - her creative eye is truly unparalleled (I mean - how beautiful and buttery is the image below?! ), and I really respect how she uses her digital platforms to share her voice. 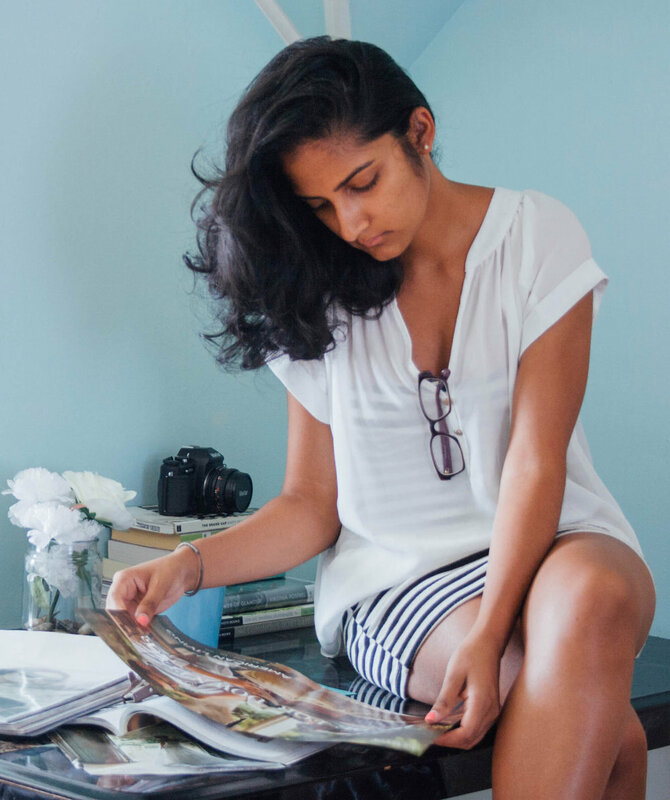 Today, she's giving us a behind the scenes look at her life as a creative entrepreneur and what keeps her motivated and inspired. Spoiler alert: it's pretty simple and magical stuff. What does being a leader mean to you as a creative entrepreneur? Standing for something. More than just the work I create, I think being a leader means caring about the world outside of my industry. How can I make it a better place? What groups of people can I help? How can we use our voice? Also, in relation to people who are closer to me --being someone who motivates them to grow and reach their full potential. Where is this person struggling? What can I do to help facilitate his/her growth while strengthening their belief in themselves? What are they afraid of, but need to face? How can I help them with that? What keeps you inspired and engaged in your work? Two things: people and art. The creatives I’m surrounded by and cross paths with whether in real life or virtually. They have something they want to put out into the world, what they feel is their purpose and that alone, being surrounded by people like that -- you feel like you’re surrounded by kin. I think this is why it’s important for us to be really intentional about the people and forces we allow to influence our lives--personal or work. Understand who you are and understand what you need. Second is paying attention to what I consume, what I let filter into my mind. I like reading autobiographies, watching documentaries, visiting art galleries. Giving myself a day to pick a random stop on the train and bus, getting off and exploring it, taking pictures. Not for anyone else but me. Most definitely not for Instagram (ha!). Photography is my mode of expression (there’s the commercial aspect of what I do, then the creative + personal that I have to always be mindful of) but people, humanity---our world, I think that’s what ultimately inspires me. It’s my job and responsibility to keep reminding myself of that or I’ll get lost in the world of creating simply to make a profit which is soul sucking work. How do you start your days? Walk us through your typical morning routine. Oh I love this! I love morning routines and my days have definitely gotten better after I attached some structure to them. So after waking up I normally grab a warm cup of my AVC drink and head up to my little work space. My desk is right by the window so at this point I have natural light soaking up the entire space and it just lifts my mood right up (unless it’s the dead of winter, but let's not talk about that). I turn on the Deep Focus playlist on Spotify and use this time to brain dump into a notebook which can take anywhere from 30-45 mins some days and 10 mins on others. I then read for about 15 minutes--I have a specific criteria for books that I read during this time--they have to be mentally stimulating but also motivational (simply reading positive quotes doesn’t do much for me). I’m currently reading The Success Principles by Jack Canfield. Ignoring the cheesy cover and title, I’m completely in love with this book and plan on ordering a copy for my personal library. It’s slated to become a morning routine favorite because it’s concise, to the point and packs a whole lotta knowledge that gets my mind working. After that point it’s movement/exercise time. I’m not super strict on this area, the main thing is I’m just supposed to move my body so it’s either between circuit training, yoga/stretching or going outside for a walk. During this time I’ll probably listen to a podcast--never about work but about things I care about outside of work (ie. Pod Save America, Pod Save The World, 2 Dope Queens, Help Me Be Me and a bunch of others I can’t remember right now). Then I shower and sit down for about 7 mins of quiet + meditation before grabbing breakfast and starting my day. That’s it! What role does personal development play in your life? Huge. It has to be a constant and it shows itself in the books I read or the podcasts I listen to. It’s important to me that I keep growing as a person--for myself, the people around me and for what I put out into the world. What's the most valuable thing you've learned from a mentor? 1) Trust my gut. 2) Have 3 people in the industry you listen to, turn everyone else off. 3) Focus on profit generating tasks. What are you unapologetic about in business? In life? There’s this popular opinion that on social media, if you are a business or a freelancer then you should only share things specifically relating to your work. It works for some people. I’m trying to find a balance between sharing my work and speaking about the issues we are surrounded by everyday that deeply affect us. I think the era of drawing those strict lines between work and social issues is slowly coming to pass. When I do address something, I try to talk about it in a way that either educates or inspires action (I can only hope). And it’s not just about hot button topics but just sharing more about the world I see, because I think it’s different that the world you or someone else sees. I’ve learned so much because of social media and this digital era we live it. It’s up to me to decide how I want to use it. If there’s an issue I think people need to hear about I talk about that (ie. the refugee situation in Paris, a fellow photographer who is a domestic abuse survivor and wants to help other women learn to love their bodies through self portraiture, the topic of inclusion in the beauty industry, etc). Thank you, Nadeena - for sharing your thoughts, photos (all photography in this post is Nadeena's!) routines and lots of new podcasts for me to get caught up on! I so appreciate and am inspired by you! If you don't already, make sure you give her a follow on Instagram. P.S. Do you know someone that HAS to be featured on an upcoming edition of Unapologetic? Send me an email at info@thewellsupportedwoman.com! I like to poke fun at myself every now and then. In fact, I'm going to go out on a limb here and say that being willing to laugh at yourself is one of the greatest things you can do as you forge your personal development path - and it makes the entire process more fun (ie: it's a win-win!). I’ve always found self-deprecating humor to be joyful and liberating (in moderation). I’m not talking about negative self talk, but rather the ability to separate our ego and sense of self from our actions. Sometimes we need to chill the f out and let go of our attachment to our behaviors, our successes and our thoughts - because holding onto everything so tightly is exhausting and crushes any creative inspiration that comes our way. When I first started my yoga teacher training, I used to joke that I was the world’s laziest yogi. I would only ever go to fast paced yoga flow classes so that I could give myself permission to attend the restorative classes - the ones that were all about dim lighting, breathing, essential oils and stretches that made me want to fall asleep on the mat. I hated the flow classes because they made me sweat, tested my endurance and showed me unflattering angles of myself in the classroom mirrors. You've been there, right? Yoga pants aren't the most flattering things in the world. Of course there was a small kernel of deeper truth as to why I preferred restorative yoga to yoga flow classes - it was because I initially came to yoga as a means of stress and anxiety management. Learning how to breathe and meditate and slow my heart rate had been major coping mechanisms when I was feeling overwhelmed and constantly on edge. The flow classes tended to trigger more anxiety for me, rather than less - so of course I preferred the slow stillness of restorative classes! In fact, I still remember one of the first restorative yoga classes I ever took, and how changed I felt leaving that tiny studio in the North Park neighborhood of San Diego, riding my bike home through the darkened streets. I felt free, and safe, and totally calm. It was such a blessing. In 40 minutes, I'd learned how to center myself, how to be present in the moment rather than stressed about the future, and how to find deep wells of strength in that stillness (when I thought I’d tapped out every single source of strength I had left). There was more power, waiting for me below the surface. There was everything I needed. Like those fast paced yoga flow classes or highly scheduled days, traditional ideas of leadership can stress me out (and I know I'm not alone here). So much of the philosophy around traditional leadership harps on things that feel heavy - responsibility, pressure, discipline. The word leadership itself can feel outdated, unrelatable and boring. It's not, though. Leadership is all about identifying and commanding your personal power with intention. It's about trusting and honoring yourself enough to honor and trust those around you. This is in now way unrelatable or boring - it's everything we look for in personal development! I was reflecting on those early days of restorative yoga recently, and I started to wonder - what if we could practice a different kind of leadership? What if we embraced an ascendancy of power that felt rooted in restorative practices, like those nourishing classes that first taught me the power of yoga? A restorative fueled leadership would be one that encourages us to shift into our present moment, to find strength in our stillness and intuition, and one that rejects competition and comparison for the far more community nourishing practices of truth speaking and powerful presence. What if being a leader wasn’t scary, outdated or boring? What if it simply meant that we could show up as the best version of ourselves, for ourselves and for others? Here’s the great news: it can. It starts with understanding yourself - doing the deep inner work of true self awareness and knowledge. Once you are acutely aware of yourself, you’re able to develop clear intentions for your restorative fueled leadership style (and they won’t look like anyone else’s!). The more intentional we are as leaders, the easier it will feel. Even though I love a bit of humor, I have never been a 'lazy' yogi - I've always been conscious of choosing an option that feels life-giving, rather than one that feels overwhelming. Although the yoga flow classes have grown on me over time, I'm always going to be drawn to restorative options in yoga AND leadership - because I believe that they nurture possibility, rather than keeping us focused on limitation. That, my friends, is what restorative fueled leadership is all about - and I don’t know about you, but I have no desire to go back to another way. There's a fine line between using tools to understand ourselves, and using those same tools to define and limit ourselves. Wondering what I'm talking about? Stick with me for a minute and I'll lay it alllll out. About three years ago I embarked on a journey to get to know myself more. 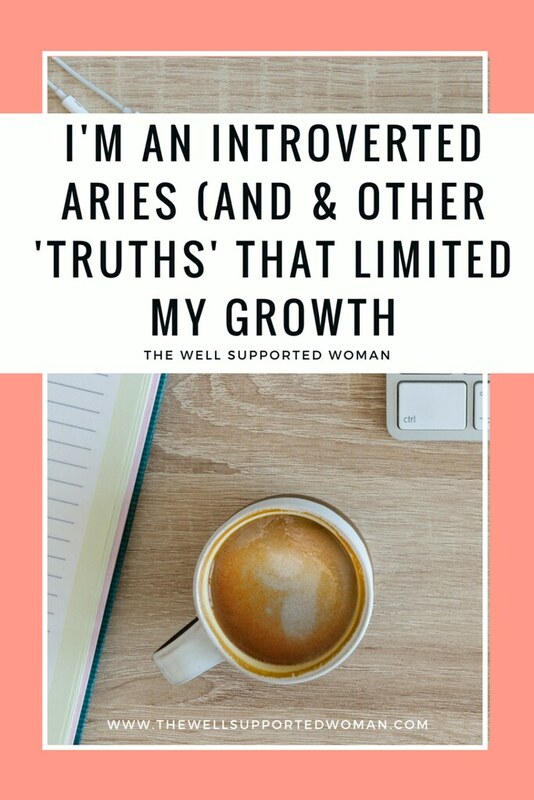 I was committed to getting in touch with my intuition, claiming clarity for myself and my future, and doing things the way I wanted - rather than the way I was being told to do them. That sounds lovely and freeing, doesn't it? What most people don't tell you is that the reason so many people live by the status quo is because going against it is really hard. Sometimes it's nice to have someone else telling you what to do all the time, because it means you're not required to think. You can check out, mind your own business, and not be actively engaged in life. Well, I decided to screw that. And I'm so glad I did - but this journey has been much more difficult than I anticipated. Suddenly, I was the one responsible for figuring out what I wanted, how I wanted to work, and most importantly - how I wanted to feel. I turned to every mode of understanding I knew about (and many that were new to me). I did personality tests, I read my horoscope, I had my birth chart done, I asked for divine guidance in meditation. I prayed. I asked my trusted mentors and best friends. I was seeking direction from anyone and everyone, hoping that some bit of insight would suddenly click and help me understand who I was. I thought I was opening myself up to new potential. And I was, in a way. What I didn't see was that I was also doing exactly what I said I didn't want - allowing others to tell me what to do and who I was. It was just in a sneakier, less obvious way. It was cloaked in the appeal of wellness and new age sparkle, rather than the traditional corporate model I was used to rebelling against. There's a fine line between using tools to help you understand yourself, and allowing those same tools to define you. 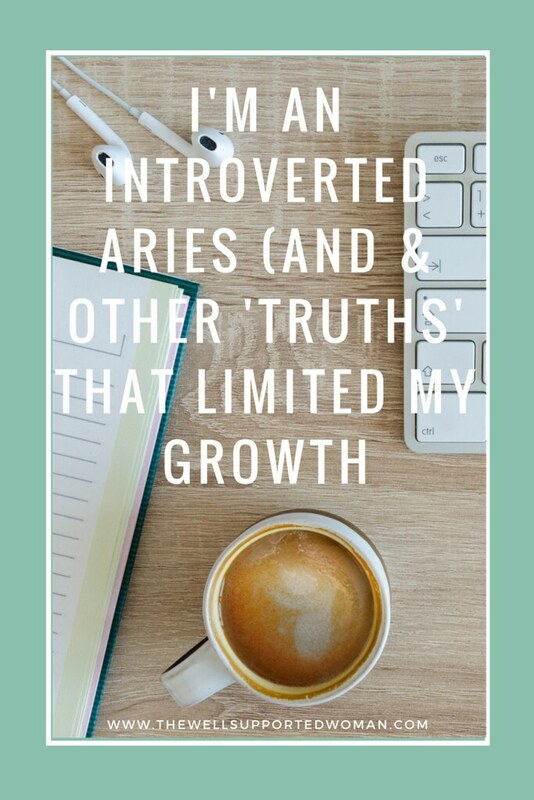 I now knew that I was an introverted Aries with a penchant for creativity and a desire to do good, and that my struggles were likely to be mostly internal. I discovered that I was a classic martyr archetype mixed with a Taurus rising sign. I knew which crystals were designed to heal my root chakra, and why I needed to be doing ten minutes of meditation and tapping everyday. The problem? I still didn't feel KNOWN. Deep down. All of this 'self knowledge' just became another distraction - and it created it's own limitations. 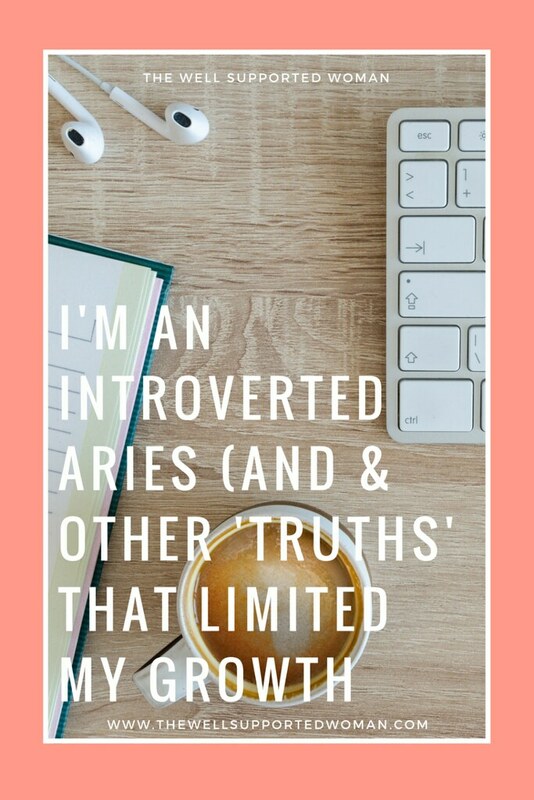 After all, one can't be an introverted Aries, right? If that's what I was, then I must be broken. The archetypes couldn't be wrong! If you're going on a self-knowledge crusade and feel overwhelmed, consider this your permission to stop. To rest. To know yourself as the quiet, searching soul, and to let that be enough.